The holy grail of mobile internet: the elusive unlimited data plan. 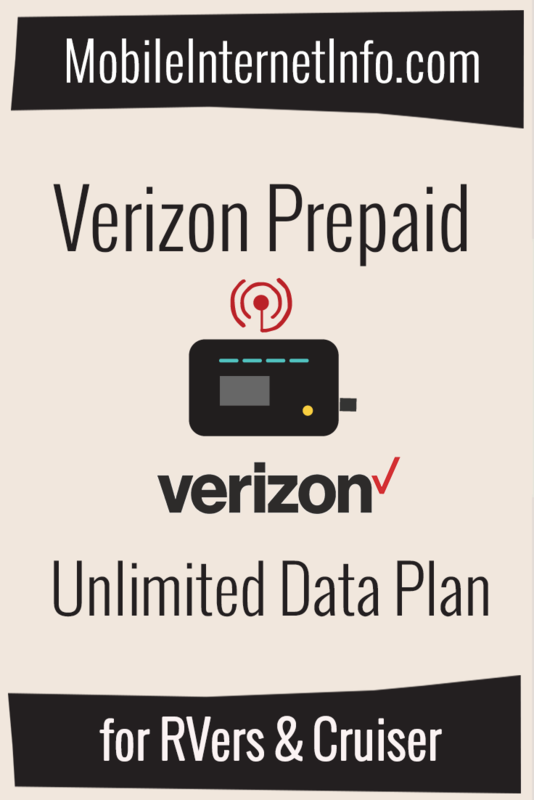 Released in November 2018, while Verizon's Prepaid Unlimited Hotspot Data Plan (pUDP) isn't 'perfect' - it is a sweet deal with nice features for nomads nestled into a world of high-priced plans with prohibitive features for nomads. Verizon's pUDP is not subject to hard throttling at any point - but is subject to network management at all times - meaning traffic will be behind postpaid customers. Network management is a much more tolerable than the dreaded hard throttle - a characteristic of Verizon's postpaid "unlimited" data plans. Those plans only include 15-20GB of high speed mobile hotspot/tethering in addition to being subject to network management. Video on the prepaid unlimited data plan is throttled to 720p HD resolution. All of the unlimited data plans offered directly from the big four carriers today have gotchas - subject to network management (slowing down while on congested towers), limits on mobile hotspot use and/or video streaming optimization. pUDP (or prepaid Unlimited Data Plan) has become our shorthand name to refer to this particular plan. For $65/month (after a $5 auto pay discount) you can activate an unlimited data plan on Verizon branded data-only devices. And better yet - you can activate a Jetpack as a standalone device line, no additional smartphone line needed. When a pUDP is activated on a Jetpack, you get unlimited high speed data that you can connect other devices to over the Jetpack's Wi-Fi network. If you have other prepaid phone or jetpack lines, you can add on a Jetpack line for just $55/month with the multi-line discount. 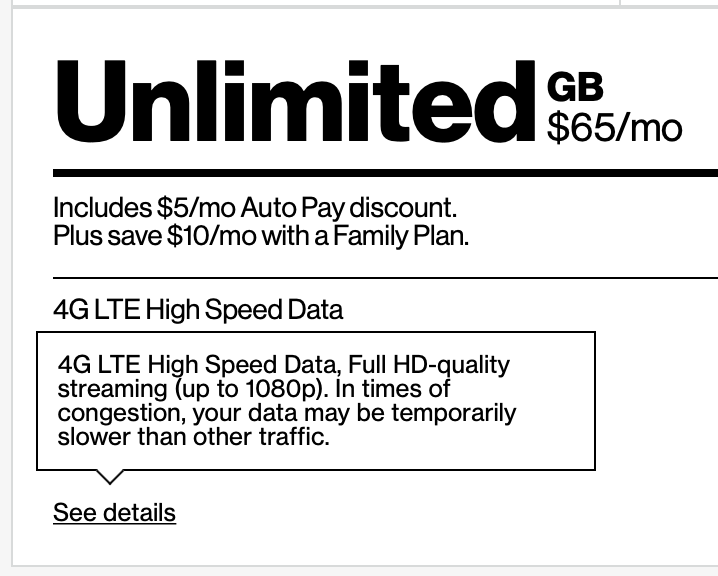 This plan is nothing like Verizon's postpaid unlimited Jetpack plan (aka 'Beyond Unlimited') for $80/month (or $20/month when added as an extra line) - which has an annoying 15GB high speed data cap before being throttled to 600 kbps. Verizon corporate media relations has confirmed with us, Jetpacks on this pUDP plan have absolutely no high speed data caps. The original plan details when launched on November 6, 2018. However, when this unlimited plan is activated on tablets or smartphones, the plan includes absolutely no personal mobile hotspot use. None. Nada. Zilch. Data use on those plans is only for on device usage. A very peculiar limitation, considering the now retired (pre November 2018) unlimited prepaid plans include unlimited hotspot use at 600 kbps. But, if the plan is set-up on a Jetpack - hotspotting data is unlimited with no hard throttling! Verizon's update to the terms as of December 4, 2018. While video streaming was initially capped at 1080p for all devices, as of December 4, 2018 Verizon changed their video throttles to 720p for devices connected to a Jetpack. Tablets remain at 1080p - but again - no hotspotting off of a tablet. 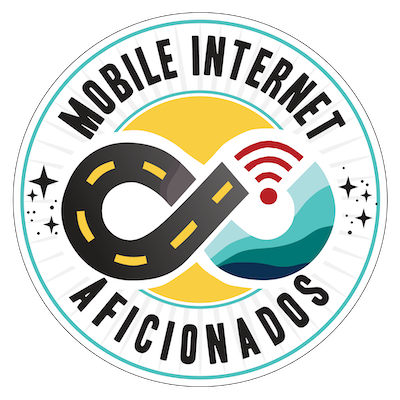 The catch is that these prepaid plans are always subject to network management, meaning that in times of network congestion they may be temporarily deprioritized relative to other traffic. And because it is prepaid, traffic is already behind that of postpaid customers. This will be most noticeable when you are traveling or located in congested markets where Verizon towers are saturated or during peak internet hours. This can result in temporary slower speeds during those times. If you're in a congested area, those temporary periods may seem pretty consistent making this plan not suitable in those markets. Can you Solely Rely On this Plan? If mobile internet is critical to you, we don't recommend this as your only plan - have other back-up options. In some congested markets, the prepaid status and network management combined can be intolerable at times. However if you're in an area with plenty of capacity, this plan can deliver 100s of gigabytes at amazing speeds. Jetpack is the branded name that Verizon uses for mobile hotspot devices. 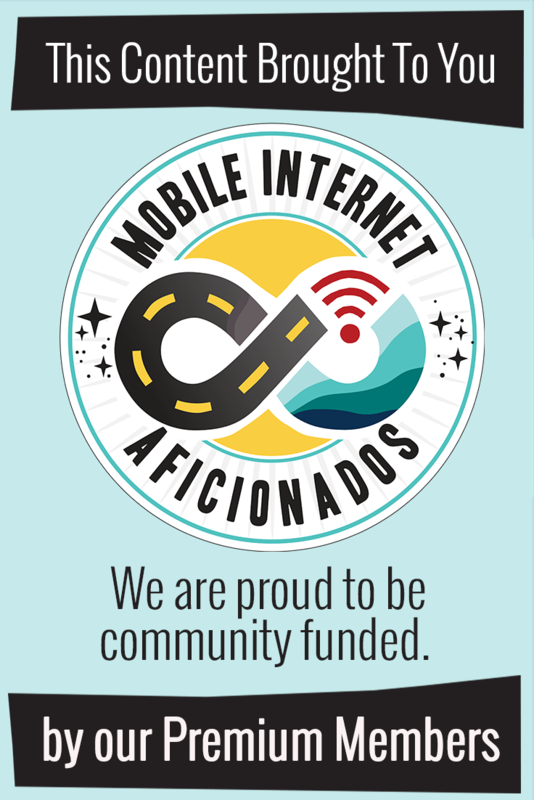 They're also called MiFis - which is what manufacturer Novatel/Inseego has branded for theirs. It's kinda like Kleenex and Puffs, they both are facial tissues. These gizmos are a combined cellular modem & router that takes a cellular signal to create to your own private Wi-Fi network. You can then connect laptops, tablets, smartphones, eReaders, gaming systems, video streaming devices, etc. to that Wi-Fi network to get internet access. You can even tether them to cellular aware routers (like the WiFiRanger or Pepwave) as the internet uplink. Account Basics: A family plan allows for the ability to mix-&-match line types (hotspot, phone, tablet) on a single account. 10 lines are allowed per account. Additional lines after the first are eligible for up to a $20/month discount depending on device and plan. Domestic Roaming: Verizon prepaid utilizes most of Verizon postpaid domestic roaming for data when you are off their network domestically, but not all. To view the disparities, see Verizon's map comparisons here. Throttling: This plan is not subject to any hard throttling after a certain usage of data in a month. Network Management: This plan is subject to network management at all times, which means you will likely experience slower speeds than other customers when on congested towers. International: Although there is some questionability to this - we do not believe this plan is eligible for TravelPass or use internationally - even in Canada/Mexico. Mobile Hotspot Use: Hotspot devices (aka Jetpacks) as a line on an unlimited plan can hotspot unlimited data at full speed data - but that hotspot data is always network managed. Hotspot Devices: Can be activated as a single line on unlimited or tiered data prepaid plans. Overage Charges: There are no overage charges on prepaid plans. Video Streaming: No video streaming subscriptions are provided with prepaid accounts. Video streaming is at 720p for Jetpacks. Employee/Military Discounts: Prepaid accounts are not eligible for discounts. Verizon Prepaid plans are listed on Verizon's Prepaid Page. Of most interest to our audience, the pUDP Jetpack Plan is listed under the Jetpack/Tablet section mid way down the screen (don't get confused by their smartphone section at the top stating hotspot isn't included.). You can order it online, on the phone or in stores. If you already have a postpaid Verizon plan, you can not mix & match pre and postpaid lines on the same account. You will be opening up a new prepaid consumer account, which should be quick & easy (no credit checks required). You do not need to switch your phone lines to prepaid, you can get this plan stand-alone. But there are discounts offered for family prepaid accounts, just be aware of the limitations of the smartphone & tablet plans offered on prepaid. You will need to either purchase a Jetpack through Verizon Prepaid or bring your own Verizon compatible device. If you have a Jetpack on an existing postpaid plan, you can activate it on prepaid. If you have that Jetpack under contract however, you will have to either keep paying for your postpaid plan or buy out the contract by paying the early termination fees. But you can activate a new prepaid SIM and use it in the Jetpack. If it's not under contract, you can cancel that postpaid line with no penalty - and you may even be able to re-use your existing SIM card. Make sure you are signing up for PREPAID ($70/mo plan) not POSTPAID ($80/mo) plan. The postpaid plan has a 15GB high speed hotspot cap. If you're calling in or going to a store, your rep may have no clue what you're talking about. But it's in their system at check-out for activating a Jetpack. 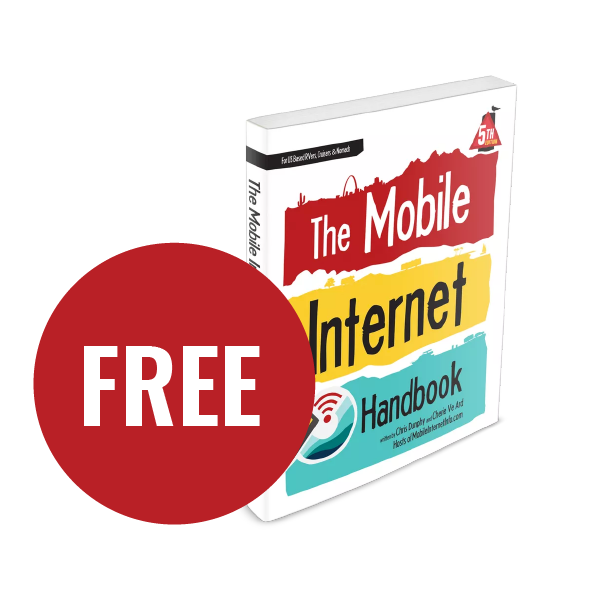 Refer them to their own prepaid page on the Verizon website (scroll down to the Jetpack/Tablet area), show them this this guide. The internal plan code for the Prepaid Unlimited Jetpack plan is 28366. Reps should be able to look-up the plan with this code. Your first month's payment should be $70 (plus potential taxes & fees) - if it's $80 (plus taxes), you're on the wrong plan! After you have the plan, you'll proceed to setup your account on MyVerizon and activate autopay to get the $5/mo discount if you so choose. Setting up your MyVerizon account may be a bit tricky however, as Verizon sends the activation PIN as a text message - you may need to instead call in and have them send that via e-mail. There should be no taxes or fees in most markets on prepaid after your first month. You pay at the beginning of the month for your service, and your plan expires in 30-days. There is no pro-rated refund if you cancel mid-month. You must renew it to activate service again, either manually or via the autopay method. If you don't renew in 60 days, your account will be closed. Please be patient with reps (hi if you're reading this!). You may be the person who brings the plan to their attention. And it is not at all uncommon for customer service reps to be confused on the details of plans and give you inaccurate information. We've heard everything from this plan doesn't exist, to it has a high speed cap, to all data is at 600kbps, to you can't stream video on the plan (all confirmed to be untrue). This article has been fact checked, confirmed with Verizon corporate, confirmed by thousands of successful activations by readers of this site and constantly updated based on feedback from our members navigating this. If your rep is not cooperative in finding the plan, try another. Archived from our exclusive member Q&A webinar addressing lots of questions. How is Prepaid Different than Postpaid? So just what does prepaid mean, and what compromises does this plan have as compared to a postpaid plan? From lower priority, different coverage maps, how you make payments, how to save up to 40% each month and how you setup the account. There's a lot of confusion over these plans, especially with Verizon reps. Use these tips to verify that you have been put on the correct plan - from during your signup up process to after. How does this plan stack up against other popular Verizon options, such s a Legacy gUDP, Visible, FMCA and Beyond Unlimited? The Verizon Prepaid Jetpack Plan (pUDP) is a top choice for data hungry nomads looking for a plan on the network with the largest coverage areas in the U.S.
Standalone mobile hotspot devices (Jetpacks/MiFis) can be activated on an unlimited data plan with no high speed hotspot caps. However all data use is subject to network management - and video is throttled to 720p when shared via a Jetpack. The pUDP plans are eligible for multi-line pricing and an autopay discount which lowers the prices of these plans by a significant amount. Tethering/hotspot support for phones and tablets is not available on the unlimited plan - tethering/hotspot support is only available when the plan is set-up for use in a Jetpack device. With the pUDP plans, unlimited data for mobile hotspot devices on Verizon's large and capable network is available. Guide: What's a JetPack/Hotspots Device vs. Hotspotting Off a Phone?